Remember the fairy tales your parents used to tell you before bedtime? Those weren't stories -- they were warnings. Nick Burkhardt thought he prepared himself for the realities of working as a homicide detective until he started seeing things he couldn't quite explain. When his ailing Aunt Marie arrives, Nick's life turns upside down when she reveals they are descendants of an elite group of hunters, also known as "Grimms," who fight to keep the balance of humanity safe from the supernatural creatures of the world. As Nick digs deeper into her past, he realizes that he will have to shoulder the responsibility of his ancestors -- and contend with a larger-than-life mythology of the Brothers Grimm that is now all too real. After their face-off with Kimura (guest star Brian Tee), Nick (David Giuntoli) finds himself trying to come to grips with the return of his mother, Kelly Burkhardt (guest star Mary Elizabeth Mastrantonio). A trail of brutal murders unveils a foreign conspiracy to hunt down Nick, leading to several revelations about his past. Meanwhile, Juliette ("Bitsie Tulloch") still lies in her mysteriously-induced coma as Rosalee (Bree Turner) and Monroe (Silas Weir Mitchell) work tirelessly to bring her out of it safely. Elsewhere, Hank (Russell Hornsby) struggles with the shocking truths he’s recently seen and Captain Renard (Sasha Roiz) deals with unexpected family issues when his estranged brother (guest star James Frain) comes back into his life. Reggie Lee also stars. 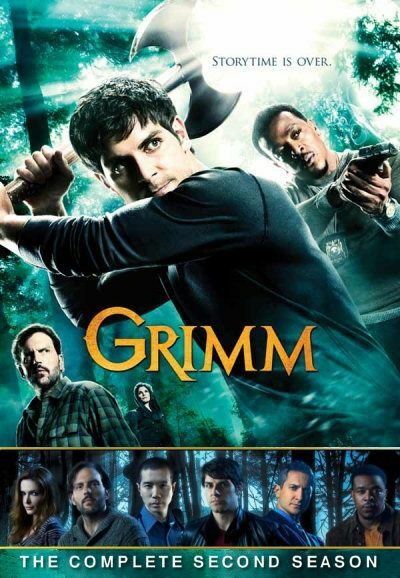 As Nick (David Giuntoli) and his mother (guest star Mary Elizabeth Mastrantonio) continue to battle the Mauvais Dentes (guest star Mike Dopud), Monroe (Silas Weir Mitchell) and Rosalee (Bree Turner) fight against the clock to save Juliette (Bitsie Tulloch). More details are revealed about the source of Juliette’s illness, resulting in an epic showdown. Back at the precinct, Hank (Russell Hornsby) senses that something is amiss when Nick lands in hot water with the FBI. Meanwhile, Captain Renard (Sasha Roiz) continues to reveal himself as he deals with his estranged brother (guest star James Frain). Reggie Lee also stars. During the investigation of an accident site, Nick discovers a disease that is quickly spreading; Monroe and Rosalee come across an infected creature; Captain Renard gets a tip about a dangerous fugitive. When a local Reverend reports that his church has been robbed, Nick quickly learns that it’s a Wesen church, and enlists Monroe to check for any suspicious activity regarding the shepherd’s flock. Meanwhile, Nick and Juliette continue to figure out the rules of their relationship as a dangerous opponent lurks in the shadows with his sites on Nick. An investigation into a grisly murder leads Hank and Nick to a seemingly unstable man who is on the run with his daughter; Monroe realizes that filling in for Rosalee will be harder than he thought. Meanwhile, Juliette continues trying to remember more about Nick while Adalind calls Renard and demands to know who killed her mother. Despite the enthusiastic anticipation of the city’s residents for Halloween, a series of horrifying child abductions make their way to Portland, quickly spoiling the holiday spirit. Nick and Hank join forces with Valentina Espinosa, a mysterious detective from Albuquerque. The more Nick digs into the case, the more he realizes the pattern of the kidnapping matches those in the famed Hispanic legend "La Llorona," a story with its roots intertwined with his own family’s history. Meanwhile, Monroe celebrates the holiday in fine style as he teaches the neighborhood bullies a lesson. Adalind returns to wreak havoc as she avenges her mother's death; Captain Renard's obsession escalates; Monroe receives a surprise visit. Nick deals with the consequences of learning the truth about Juliette and Capt. Renard; Nick must investigate his own crime; Wu responds to a shooting at Nick's house. Nick, Monroe and Hank discover that members of a Wesen community have been responsible for a series of bank robberies; Juliette questions her mental state. When a mysterious case of sudden blindness causes a woman's death, Nick and Hank come across a disturbing Wesen that feeds off its victim's tears. Meanwhile, Adalind contemplates the significance of her new situation, while Juliette continues to work with Rosalee in an effort to fix her memory. When a gruesome homicide brings an office party to a screeching halt, Nick and Hank find themselves battling a Wesen on a completely new platform - online. Meanwhile, Juliette’s mysterious hallucinations finally start to take shape, giving them a whole new meaning.